1. Tell us a little about yourself, such as who are you, where are you from, your age if you like, and any other bits of info you'd like to share. 2. Tell us a bit about your art background, such as when and how did you start, education, etc. 3. Have you or do you work in more traditional physical mediums (e.g. painting), or do you mainly like to create digitally? If so, what about digital attracts you to that medium? 4. Have you done work for other CCG/TCG or video game projects? If so, what games? 5. Do you play any video games in your free time? Maybe some of the games you've done work for (Shadow Era is a pretty great one if I do say so myself.)? Or what other hobbies or recreational activities do you take part in during your free time? 6. 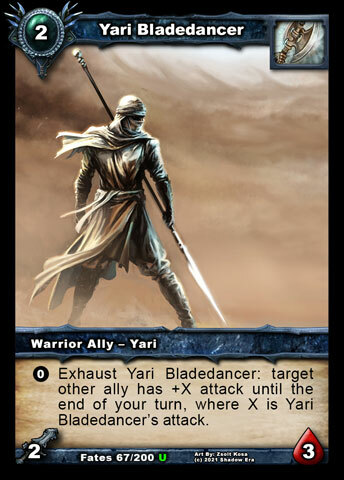 What is the process of creating each card artwork like? Gondorian (Ian) gives you some sort of general prompt of what he's looking for I assume and then what? How much do you go by the prompt and how much do you go by your imagination? 6b. One of the first artworks of yours that was revealed was a very special one to the SE community, the Dark Riding Hood artwork, to commemorate a very special member of our community Caitlyn0. What did Gondorian describe for this artwork and did he inform you of its significance? 7. 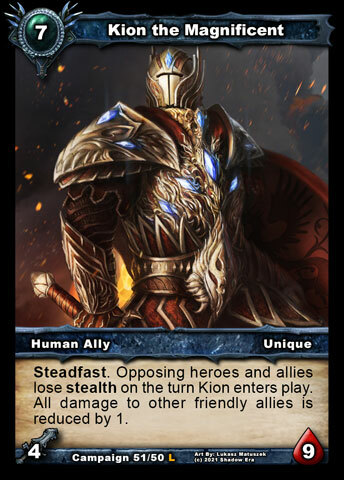 Is Gondorian pretty strict when it comes to what he's looking for with each art? Or does he just let it be mostly up to what you imagine? 8. For any aspiring artists out there, what are some of the devices and software you use in your work? 9. What is your favorite part of the creative process? Planning out a concept? Delivering the final piece? 10. 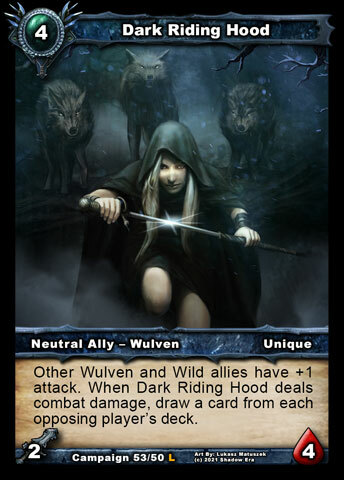 How long does the average Shadow Era artwork take to complete? 11. What are your favorite things to draw (e.g. warriors, creatures, environments, sci-fi, etc.)? 12. 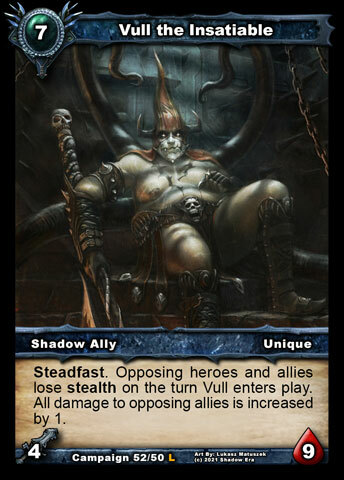 Do you have a favorite artwork in Shadow Era (one of your own or another that you have seen)? 13. Lightning round! Favorite food? Favorite animal? Favorite place? Favorite movie? Favorite song? 14. And finally, do you have any sites where people can have a look at more of your work?